Now, the Turkey Leg made our list of the Top Six Most Iconic Snacks at the Magic Kingdom, but what we don’t understand is all the ancillary products that have also come out for the turkey leg, including wallets, hats, t-shirts, pins, sweatshirts, and air fresheners…yes, AIR FRESHENERS. Who is buying this stuff? Who outside of Oscar Meyer himself wants his car to smell like a turkey leg? Even the legendary Dole Whip doesn’t seem to have a fraction of the merchandise that the turkey leg does. May we suggest an immediate stoppage of any future turkey leg products and instead look at other food items on Disney property, including the cronut, arancini, zebra domes or school bread? 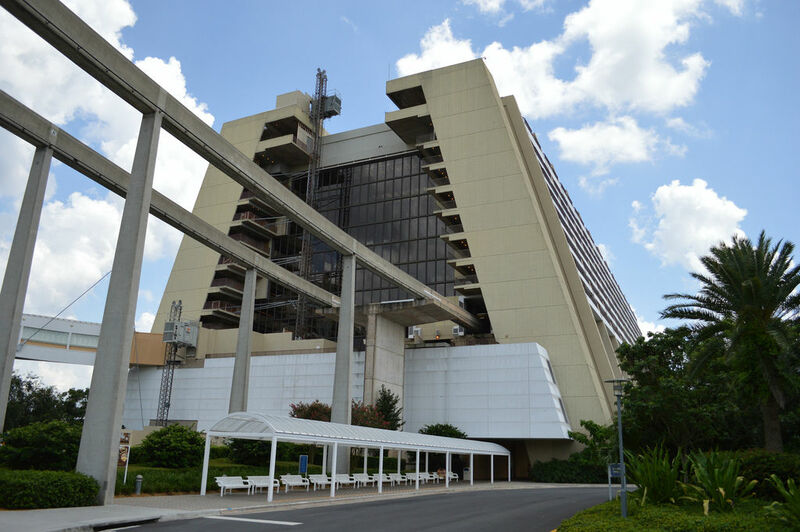 One of the most amazing theme park hotels ever made, does Disney’s Contemporary Resort of today justify the price you have to pay for a room? It doesn’t seem to matter what Disney charges; we tried to book a room for Saturday, January 18, 2014, to get a price quote and got No rooms available. So we tried Saturday, January 25, and got prices starting at $361 per night but quickly jumping up to $469 and $559 for rooms not looking out at a parking lot. Club Level? $700. Keep in mind many of the more expensive rooms were already sold out. This is in January, what most of us would consider an off-season. You’re paying Deluxe level prices, but you are getting a level of traffic and noise that the Grand Floridian and Polynesian don’t suffer from because of Bay Lake Tower, Chef Mickey’s, and how the Contemporary is laid out. Fantasia Gifts is closer to the Universal’s temporary Studios store than the well done gift shops at other Disney resorts. There are a lot of positives to staying at the Contemporary, but is it worth the prices you’ll be paying? We’re not exactly sure on that one. Meet and greets are becoming a larger part of the theme park experience by the day, to the point where they have been incorporated into the FastPass+ system. Gone are the days of just running into characters; now you need to plan out your trip if there are certain characters that you or your kids must meet, as some of the characters draw extremely long lines. One of the biggest draws currently is Jack Skellington and Sally from The Nightmare Before Christmas. 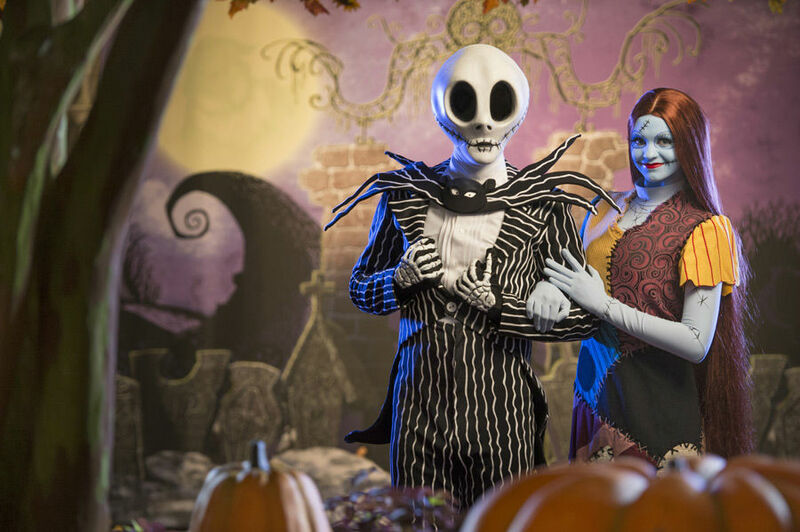 In 2012 Jack and Sally were at Downtown Disney and drew huge lines as guests waited hours to meet them. Last year they moved into the parks as special characters for the Mickey’s Not-So-Scary Halloween Party and again drew big crowds with waits of up to three hours. Are they worth it? Rare characters are fun to meet, and recently runDisney marathon runners got to have pictures taken with Launchpad McQuack and Darkwing Duck, two characters who seem to be locked in the vault with the movie Song of the South. For the Saturday Six staff, our biggest hurdle in justifying these wait times for Jack and Sally is that Tim Burton’s movies just don’t scream “Disney.” Everyone loves Johnny Depp’s Jack Sparrow, but who is clamoring for his portrayal of the Mad Hatter in Tim Burton’s Alice in Wonderland? 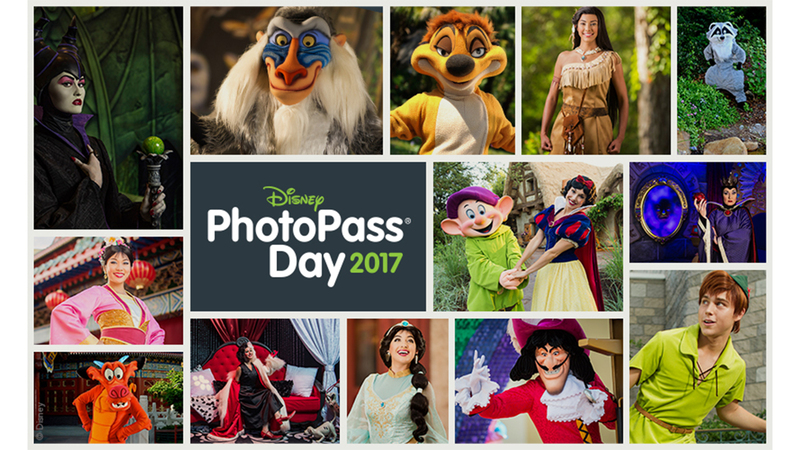 Maybe it’s just us, but while we can see wanting to wait hours to get a picture with all the Seven Dwarfs, Huey, Dewey, and Louie, or even Chicken Little, waiting a long time for Jack and Sally just doesn’t make sense. Not to mention just looks more than a little bit creepy, right? There are almost an unlimited amount of things to collect in the Disney fan universe. Pins, plush, Mickey ears, prints, statues, “toothpick holders,” golf balls and pretty much every other item you can imagine. One of the more popular collectibles is vinylmation, which is so popular it has an entire store at Downtown Disney – D-Street – dedicated to it. No one is a bigger fan of the classic design of Mickey Mouse than those of us at the Saturday Six. He is one of the most recognizable characters in the world. However, the “Mickey Mold” that Disney uses for its vinylmation series just makes almost all of the other characters just look weird. The individual artists do what they can, but they are severely hampered by the unique shape of Mickey Mouse, especially his ears. Disney has put out the “Park Starz” series of vinylmation, where the artists can create any design they want without being shackled by any mold, and we think these are incredible across the board, with our favorites being Orange Bird, Captain Rex from Star Tours, Big Al, and The Bride. 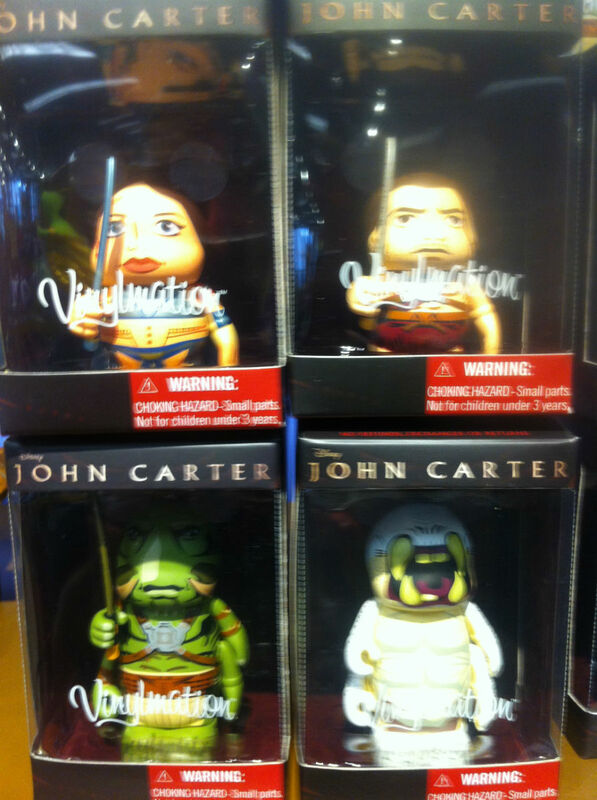 Regular vinylmation though? They can all be thrown in that landfill with all those unsold Atari 2600 E.T. cartridges. 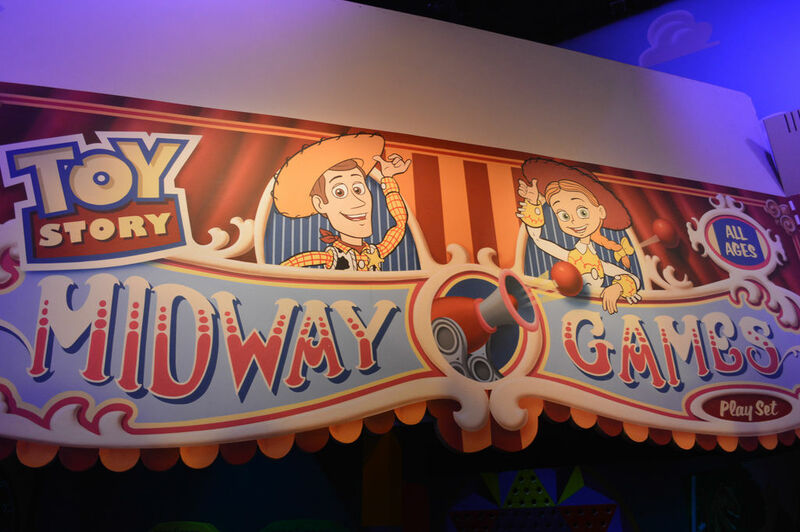 Toy Story Midway Mania is a good ride, but it has the long waits of a great ride. The mad rush to TSMM is the closest thing on property to Pamplona’s running of the bulls, and recently Len Testa described the amazingly fast disappearance of TSMM legacy FASTPASS tickets on an episode of WDW Today. Walt Disney World is full of incredible attractions. Whether it’s Tower of Terror, Splash Mountain, the Haunted Mansion, Space Mountain, or any one of a dozen rides that clearly show us the “Disney Difference,” TSMM is just a screen-based shooter that has variations on the exact same game throughout. So there you have it: Six Disney Obsessions We Just Don’t Understand. See you next weekend for the latest edition of the Saturday Six, where we’ll be looking at the upcoming Diagon Alley over at Universal Studios Florida. If you had fun, be sure to check out The Magic, The Memories, and Merch! articles or, for your listening pleasure, check out Pardon the Pixie Dust podcast. Special thanks to Morgan Crutchfield and Universal NOW!’s Brandon Glover for their assistance with this article. I’ll give you TSMM. The Contemporary is awesome because you can walk back and forth to MK. The one I don’t get is the obsession with the Poly. It’s heresy to say this, but I agree with you completely. The walk to the TTC is the Poly’s good point, but otherwise – meh. I agree with you on every single point especially the M&G. I am a HUGE NMBC fan, but those costumes are just creepy and awful. I would not wait on line more than 20 minutes to get my pic taken with them. Jack’s face is… well.. all “jacked” up. “We”? You make it sound like you are speaking for Touring Plans as a whole! When writing the article I thought that I was clear in that the “we” throughout was the blue ribbon panel commissioned by the Saturday Six, but I just added a disclaimer at the top to make absolutely sure no one things this article is speaking on behalf of the entire TouringPlans team. I think you’re right, it definitely could be seen as confusing and wasn’t worded as well as it could have been. I assumed it was the “royal” we. No big deal. Haha, sorry Derek that probably wasn’t necessary. I was just being silly! The reason I love TSMM is that the 3D works perfectly with the game mechanics. The hardest part about Buzz Lightyear is finding your tiny laser dot among a sea of another dozen laser dots. But in TSMM, the controls, visual feedback, and depth perception is so perfect, you can make the minute adjustments required to aim where you want to aim. Also, the interaction of your plates/darts/etc with the environment feel realistic and aren’t animated in a cheesy or goofy way. It’s just an all around well built game. Compared to all the other interactive games in WDW, whether they be rides like Buzz or small kiosks like in SSE, TSMM is so far and beyond it’s not even close. So as a video gamer, and disney fan, it’s special for that immersion into a game where it feels like you’re really throwing hoops onto aliens without any silly programming glitches or bad animation to remind you youre just sitting in a cart looking at a screen. Great list! My thoughts on the TSMM is that the mad rush is because it is one of the few rides at Hollywood Studios where very little ones can ride. They are two short for Tower, Star Tours, and Rock and Roll. Great Movie Ride and Backlot Tour are not up their alley. That’s why the rush! I completely don’t understand Vinylmation – we do pins because you can trade with so many people and they are easily carried around. One thing that I think is left off the list is the Bibbidi Bobbodi Boutique. Paying tons of money to make your little girls look terrible (seriously what are they doing to that hair) so they can then walk around in uncomfortable clothes all day is just beyond me. I agree with Stephanie- Bibbidi Bobbidi Boutique should be on the list! With Duffy and Bibbidi Bobbidi Boutique showing up strong in the comments I’m thinking a part two is going to have to come later this year where we can also decide whether the 3 hour wait for Soarin’ or Test Track is more ridiculous. I absolutely agree about BBB. I fee the girls look a little like ladies of the evening. Why would anyone want their little girl to wear more make-up than a clown anyway? Disagree with Contemporary. It’s the only non-dvc resort walking-distance to magic kingdom. It’s on the monorail, so restaurants really aren’t an issue. Almost all the rooms have either theme park views or water views that can see the nightly water pageant. On top of that it’s one of the conference hotels, which helps keep the rooms full. Yes, Contemporary is busy and noisy. The experience is being in the middle of the magic. It is not slow and relaxing, if you want that go to AKL, which is also an awesome resort. Sorry, Len, but Derek is dead on with his assessment of Illuminations. While it’s not a bad show, it doesn’t come close to living up to other Disney night shows. I personally believe Illuminations should be replaced with a version of Disneyland’s “World of Color” show. I don’t understand people’s love affair with DHS’s “Fantasmic.” It’s incredibly dark tone terrifies small children and it’s the only show I usually leave with a headache. I guess everyone likes different stuff. I don’t understand waiting in line for hours to meet ANY character. I agree with you, Philip, on Fantasmic. It’s incredibly dark tone terrifies me, and I’m 45. The top of my list is Duffy the Marketing Bear. Did a Disney executive think they were running short on characters and needed one more plush toy to sell? Duffy has to be the 2:00 in the morning product of a Christmas party where cocktails were served. Ooooh. Good one, Chris. I could write a whole post about that one, though. Yes! This! I need someone to explain this Duffy phenomenon to me. I took a 6-year break from Disney where I didn’t visit any of the parks from 2007 to 2013, and I swear Duffy did not exist when I went there in 2007, and when I finally returned he was EVERYWHERE. Even some of my adult friends are crazy about him. I am at a loss. Totally agree with this! Duffy is so generic – he’s not even from a tv show or movie. I think the Cubs copied him for their mascot, though. Om gosh, you are so right! Because WDW didn’t already have a mascot? I liked Duffy back when he was just “The Disney Bear”. No clothes, one size, light brown or dark brown. That was it. Just a nice bear with Mickey shaped paws. I like Duffy – I find his demeanor very sweet, and he seems to be very good in greeting both young kids and grown-ups. And the idea that he’s “everywhere” – Duffy’s only appearance that I know of is in Epcot, near WS Plaza. Agree Nicholas. The story behind Duffy is warming to. I to have seen him at Epcot and I think one MVMCP last year or the year before. He isn’t everywhere. My daughter has had some wonderful meet and greets with Duffy. I just got back from Dland and my niece had a M&g with Duffy, she said he bonked her really hard on the head hugging her. 🙂 I was like another commenter, my last time at DL was 2008, and I didn’t remember this character. I get the build a bear dressing thing, I just couldn’t believe it took Disney so long to get onboard that money making train. My sister asked a employee about Duffy, and she said that in the Asian markets Duffy is huge, even bigger than Mickey, so they thought they would give him a run here in the states. I’d have to add Soarin’ to the list. If it was in a park with more than one other e-ticket ride, the lines would be 20 minutes or less. 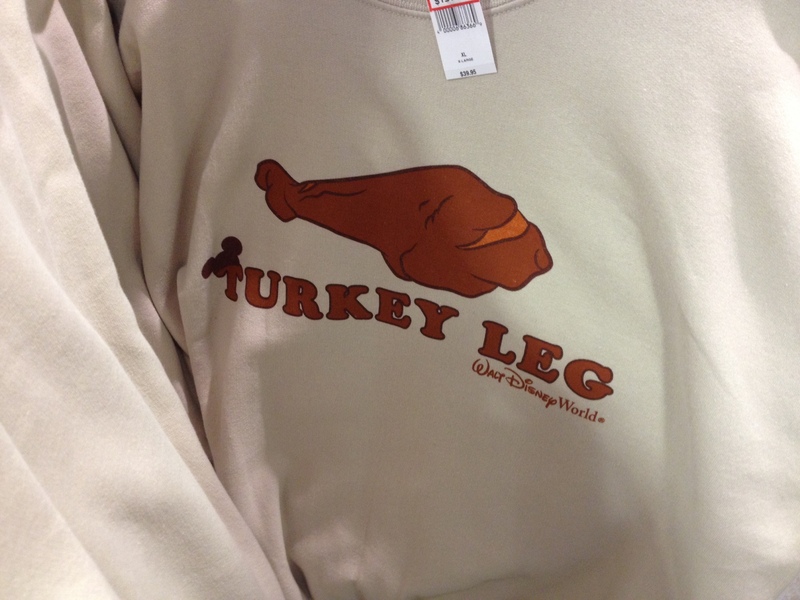 I have NEVER understood turkey legs. However, on a recent trip I had the bacon mac n cheese in a bread cone at Fantasmic and spent the rest of my trip trying to find somewhere else that offered them. Heaven in a bread cone! Right there with you on Illuminations. Perhaps it’s because both times I’ve seen it, it’s been raining and after standing in one spot in a cold drizzle for more than an hour before it started, it just didn’t deliver for me. Yet I will happily sit for 90 minutes in all kinds of weather for Fantasmic again and again. To each his own, I guess. And Toy Story? Ditto. A good ride, but not worth the early morning dash or agonizingly long wait. I get just as much kick from Buzz Lightyear’s Space Ranger Spin. Also: Vinylmation, Duffy, Bibbidi Bobbidi Boutique, and Carribean Beach Resort. SMH. I agree with the TSMM inclusion, it’s fun, you have to do it once, but the pulling the string constantly gets very tiring very quickly. Considering that it was a 5am military quality attack plan to even get a FP at RP to get on the ride for that day, once was enough. I do not understand the obsession. I’m with you on all six! 6. Turkey legs taste awful to begin with, like over-salted ham. 5. Contemporary is 42 years old–not so contemporary anymore. 4. Jack’s head is shaped wrong. ’nuff said. 2. Vinylmation: ugly. hate it. Only collect Stitch ones cuz it’s Stitch. 1. I love TSMM very much and am good at it, but never remember my scores even though I always win. No FP at DCA so I rarely ride it. In any case, it’s a show that never would be put together by the contemporary Walt Disney Company. It’s too abstract, lacking in characters, and isn’t paced for hyper-active kids. Thank you! I love Illuminations; I remember a cold, rainy December evening when my hands and ears went numb as I watched it, fascinated as always. 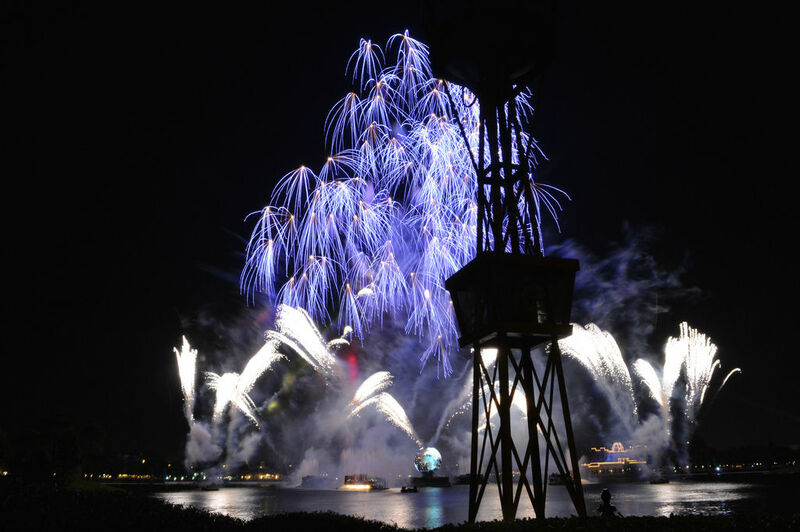 Please don’t advocate replacing it with World of Color; WoC is a great show, but Illuminations is special, too. The rest of your points are spot-on, although I still dream of staying at the Contemporary. Sorry Tom, but as an adult, I have thought about the themes and messages of Illuminations, and decided I don’t like it. The execution is just fine, and there’s no denying the physical beauty – it’s the message I object to. Please don’t lump those who disagree with you into one bin of “simple-minded folk” as you not-so-subtly imply. Seth, I would have agreed with your observations on the pacing of the show in the years before they upgraded the globe, but once they improved the screens so that you could actually see what’s going on, that part of the show actually holds my attention quite well. It’s the *rest* of the show that I don’t care for, particularly the ending. As for your other observations, I’m going to have to disappoint you and pass on the chance to elaborate, for two reasons – first, because my philosophical and pastoral concerns over the “peace and goodwill” motif are WAY outside the scope of a site dedicated to the Disney parks, and second because the specifics of my particular concerns were not the point of my comment. I was objecting to Tom’s ad hominem and painting all of us who disagree with him with a stereotypical brush. Especially since my interactions with Tom over the years make clear that he’s better than that. I’d love to stay at the Contemporary, but the prices are outrageous. Of course, you can pretty much say that for all the Deluxe resorts. I still like Illuminations: Reflections of Earth, but I agree that the middle part is a letdown. It has a great beginning and a powerful ending. TSM is a solid attraction like you say, but I agree with the other commenter than it’s mainly popular because of the lack of kids rides at the DHS. Amen about Duffy! And you’re lucky no one listed Dole Whips. Because I’m not a violent person, but Dole Whips can beat the tar out of turkey legs, hands down. I get the meet & greet for Jack and Sally. My daughter has loved that movie since she was two years old and it is played constantly starting in September in our house. I thought her loving it was weird at first, but I couldn’t hide the movie from her. She calls it “Monster Sally” and likes to dress like Sally in a patchwork dress sometimes. I love the turkey legs but can understand if other people don’t like them. I am pleasantly surprised not to see the Hoop de doo Revue. We love the corny jokes, silly songs, and pewter buckets of fried chicken. However, if I were to add one attraction to this list, it would be the Spirit of Aloha Dinner Show. The ribs are worth the price of admission, but the show is long and drawn out. I’d say hit up a ADR at Ohana and soak up your own atmosphere at the Polynesian Resort. We love Illuminations and have seen it several times! The one thing that we miss though is the incredible night parade that they did in 2000 at Epcot, just prior to the start of Illuminations…the people were on stilts and it was just beautiful. I think the music was the same at this parade as they use for Illuminations, now which we love. I wish they would bring this back. Wondering if anyone remembers that parade? I absolutely agree with all of these except Jack and Sally. The reason I love them is BECAUSE they don’t scream Disney. Plus, meeting the regular Jack dressed as the Santa/Sandy Claws version at MNSSHP was a riot. Thanks for pointing out the plague that is Vinylmation. They are hideous and cumbersome. Who wants to carry 10 of those around all day? For me it’s Fantasmic, which I liked but wouldn’t bother seeing again and Soarin, which I think is just okay and would rather ride Small World 5 times then wait 2+ hours for it. I don’t get the obsession with POP Century either. Sure, it’s a cute resort, and I would like to stay there someday, but it’s just a value resort, not the 7th Wonder Of The World like some fans would believe. My take on POP Century is that it is cute, inexpensive, I’m old enough to remember ALL of it, doesn’t stop at other bus stops before leaving for your destination, and actually has rails to keep “line-jumpers” from strolling up to the beginning of the bus while others have been waiting. We stay at POP every Disney trip. This last trip we were in a quiet area overlooking the lake and Art of Animation. It was a perfect spot to be able to visit AOA. But, if it’s not your cup of tea, there are so many other choices! For thr price, POP Century is a great value. The kiddos get the great theming, you get the benefits of being on property and you may still be able to afford to send them to college! I can’t agree with you about Illuminations, the score alone still brings me to tears with emotions. My list.. Peter Pan’s Flight (hour or more wait for a minutes and a half ride), Kali River Rapids (leaves me feeling like a drowned rat!) The Electric Light Parade (really, the 70s and repetitive synthesizer music went out of style a long time ago! )Test Track (half the time it isn’t even running), Lights, Motors Action (ah the smell of auto exhaust…), Stich’s Great Escape (I don’t need to have an obnoxious creature burping in my face and Alien Encounter was much more fun and intense). Think of how much you miss Horizons. This is how you’d feel if Illuminations was replaced.